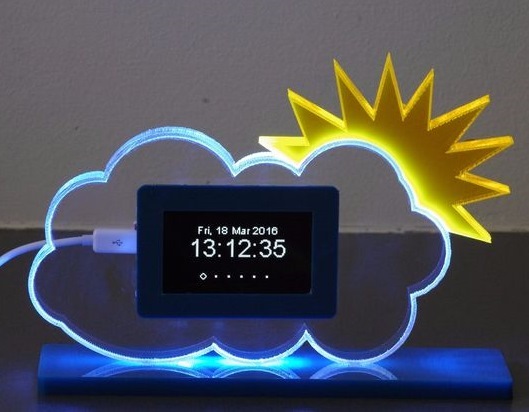 Nick Koumaris from educ8s.tv has posted a new project of building a ESP8266-based weather forecast display using Wemos D1 mini board and a 1.8” Color TFT screen. Nick also shares the design files for his artistic 3d printed enclosure for this project. 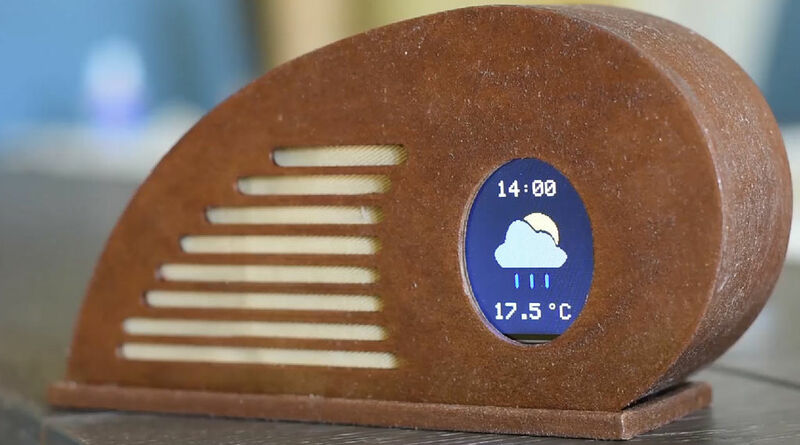 The ESP8266 on board Wemos D1 mini connects to the internet to retrieve the weather forecast for a particular location and displays it on the TFT screen. 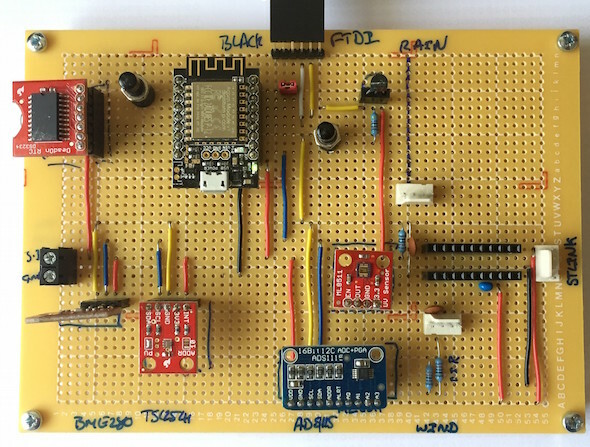 Nevyn’s entry to the 2016 Hackaday Prize contest is a modular weather station built using a number of sensors mounted on a general purpose circuit board. The sensor readings are captured by ESP8266 and sent out to the internet. The weather station will be designed to work off-grid with limited capacity to store data for upload at a later date should an Internet connection fail temporarily. Dennisv15‘s Weather Station is WiFi enabled using ESP8266 and uses a 2.4″ OLED to display the weather data. 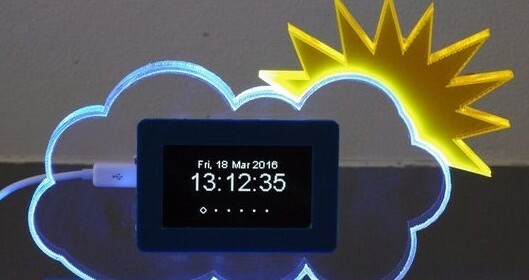 It has got one of the most beautiful enclosure made of Acryllic sheet laser-cut in the shape of the Sun and cloud. 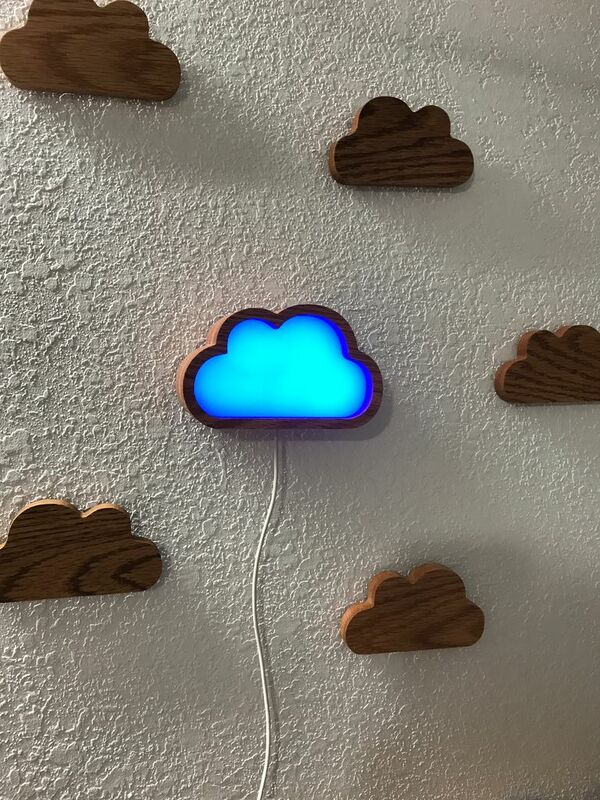 The shapes are illuminated with different colors based on the weather forecast using RGB LEDs. The firmware is based on Daniel Eichhorn’s popular design of an ESP8266 based weather station that includes measurement of the indoor temperature and humidity using DHT22 and retrieving local forecast data from Wunderground. 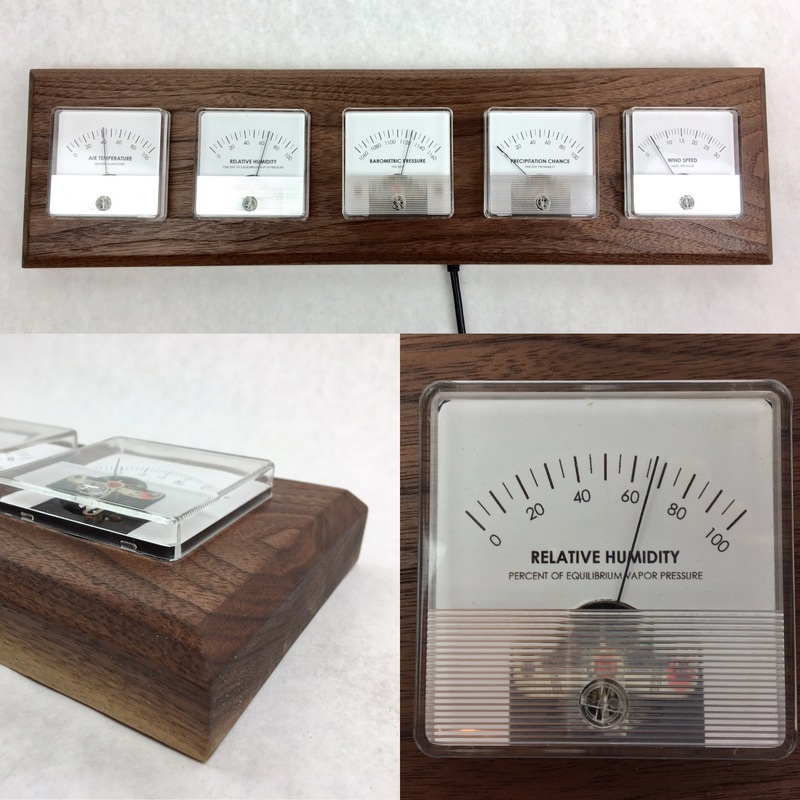 Another cool-looking weather station using five analog panel meters. The project uses Particle Photon development board, which downloads weather data from the internet and displays on the meters.